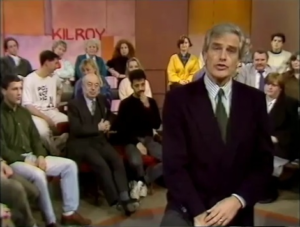 Over twenty years ago, my mum appeared on the chat show Kilroy to defend her decision to send her kids to the local comprehensive instead of a grammar school. As a lefty teenager, angry with the injustice of the world, I was incredibly proud of her. In 2022, it seems I may now face a similar predicament when it comes to my own children’s education. Will I too make a decision for my own children’s education that makes my family proud? For my mum, the divisive nature of the 11+ system was all too clear: she had passed the test, unlike her best friend, and seen first-hand that those who failed did not have the same opportunities she did. “It just seemed wrong” she argued, and I agree. Looking back, attending the local comp was a bit of a mixed bag for me. I had some truly abysmal teachers but some inspirational ones too. All in all they set me up to take my next step and fuelled my desire to become a teacher myself, starting off my career in one of the worst ‘sink schools’ in England. 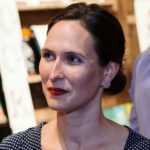 Nowadays, I’m a mum myself, and I’m lucky enough to live in Greenwich, a local authority frequently in the top 10 high performing local authorities at primary nationwide. However, secondary schools are a different matter: whilst there are some promising signs of improvement, they have to contend with the so called ‘brain drain’, where those who pass the 11+ jump over the border to attend Kent’s grammar schools. Who jumps rarely seems to depend on who is brightest, but instead on whose parents forked out for private tuition earliest. My husband, a year 6 teacher at a local school often sees the brightest in the class fail the 11+ because they haven’t been tutored. Because of this, local parent Facebook groups are littered with requests for 11+ tutor recommendations. Who can blame them? In the arms-race for an outstanding education, are we surprised that parents prep their children from as early as 8 years old? What angers me about plans to revive grammar schools is that we are still, twenty years on, having this debate in spite of the evidence. If only instead of opening more grammar schools we could focus on improving the quality of all schools. But of course, doing that is a tougher challenge and one that doesn’t make headlines or win instant votes. I hesitated before sharing my own situation in this blog. After all, as an evidence based ‘think and action tank’ we pride ourselves in sharing research that informs policy making and practice. However, in the case of grammar schools it seems that’s not enough. As Loic Menzies has argued, anecdotal ‘Uncle Steve’ rebuttals are ubiquitous and immune to the evidence which clearly shows that the richer you are, the more likely you are to get into a grammar school. Perhaps as Gove put it, we have ‘had enough of experts,’ so here I am, writing as a comprehensive educated parent in the hope it will make a difference. I hoped we’d moved on from the days when Kilroy leapt about his studio pitting one side against the other, but perhaps not. Instead it seems it’s is now my turn to try and put forward arguments that will make my own children and mum proud.